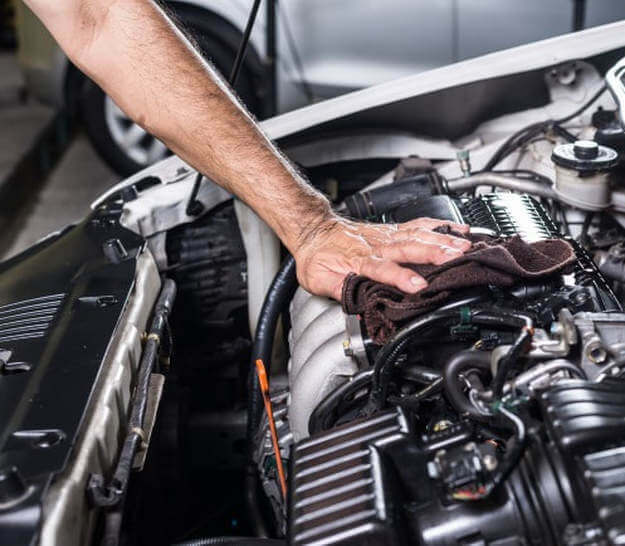 While it’s one of those car detailing services that apply more to show cars, or perhaps someone who’s planning on selling or trading in a vehicle, engine bay cleaning is a great thing to do for your car. 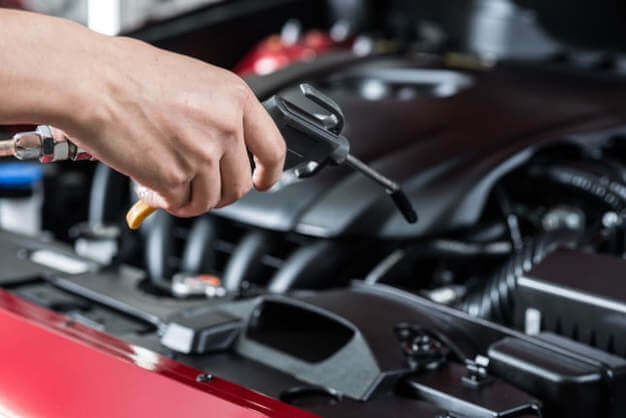 Not only does it make it easier to detect any minor fluid leaks before they become serious, it will absolutely increase the value of your car in the eyes of a prospective buyer. No matter how polished it may look on the inside and outside, if a buyer sees a dirty, rusty, greasy, and grimy engine bay it could very well give him a reason to “think about it” and then decide to get something that looks a little more reliable. Don’t let all that grease and grime hide the truth! Engine bay detailing can be included in your detailing here with us in our auto detailing services at Birmingham Car Detail and you can make that sale, get that higher trade in value at your dealer, and enjoy the profit. When dry cleaning your engine, we use a combination of brushes, vacuum, and air blowing to dislodge and remove all the dust. This is a critical step because the last thing we want is to allow mud to form by mixing in water with a lot of dirt and road dust. Wet cleaning comes next. A lot of people get this wrong and end up putting water where it doesn’t belong. Here are the steps to how we do it right. After disconnecting the battery, we’ll make sure the engine is cold and then cover the engine itself with a garbage bag. After that, we thoroughly wash down the hood and the outer perimeter of the engine bay with a moderate spray. A light spray combined with a microfiber towel and wipes enable us to thoroughly remove all grease and dirt. Then we’ll spray it off and move on to the engine. This stage is as straight forward as it sounds. We let the engine bay dry out thoroughly before moving on to the detailing stage. You can’t use a hose for detailing the engine. It’s very important to not get it wet. In this stage, we use cleaning wipes, a small bucket of soapy water, and a brush to carefully loosen the dirt and remove the grease. After that we wipe everything down to protect your car’s electronic components. Now that everything’s clean, we can use a spray wax to coat the painted surfaces and then buff them with a microfiber cloth. Followed by a bit of elbow grease as we work a water-based restorer into the rubber and plastics with a brush. After letting it sit a while, we buff that off too. And there you have it. The correct method of engine washing and engine detailing. 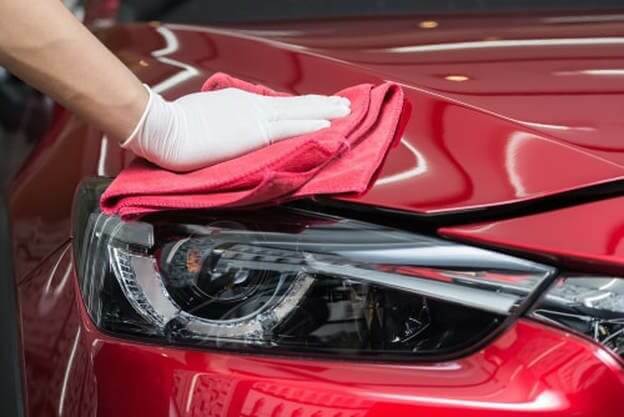 If you're looking for exterior car detailing, click here.